User can find their favorite restaurants with location based search, postal code or “Locate me” option. User can see their order status through “Live Tracking “feature. They can track order using map navigation. 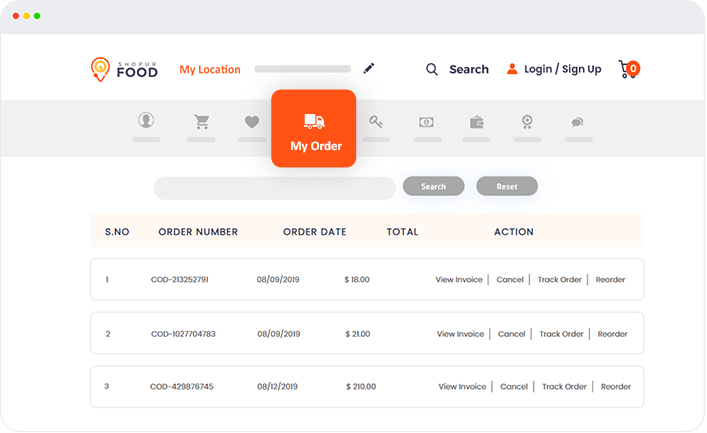 User can view their order history and re-order the items. User can search and find the best restaurants based on food categories. User can create, edit and update their profile for future references and order history. User can give their feedback to restaurants and delivery boy for their received orders. User can place their order by choosing “Pre order” option and restaurant will deliver the order at user preferred time. User can pick a restaurant or food item as their “Favorites” in Wishlist. User receives email notifications at each stage of their food order status. 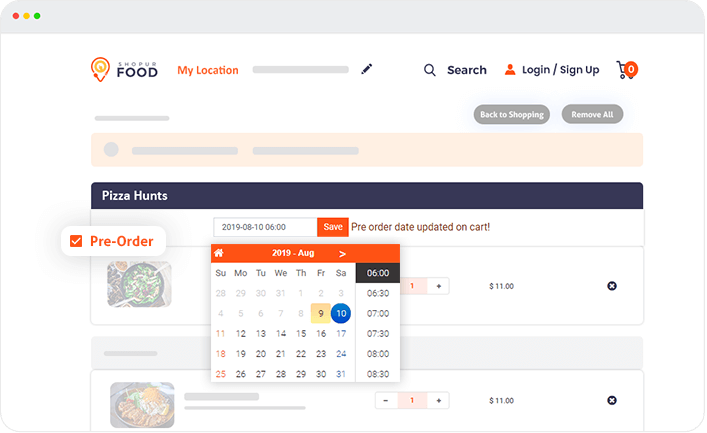 “Re-order” offers flexible option for users to order their favorite foods. User can simply give “Re-order” to receive food orders.